"What was sci-fi a generation ago is the new normal," says Dr. Peter Singer. "We saw no other option than to use our bomb robot." Camera shutters clacked as Dallas Police Chief David Brown told a crowd of reporters how his department killed a suspect after a shooting spree that left five officers dead and seven more wounded Thursday night. Law enforcement and a hostage negotiator cornered the suspect and attempted to talk him down for several hours; they learned that he was upset about recent fatal police shootings of black men around the nation and that he "wanted to kill white people, especially white officers." Officers and the 25-year-old man ended up exchanging fire. After hours of attempted negotiations, a police surveillance robot armed with a bomb on its extending arm rolled onto the scene. The explosive was detonated in the man's makeshift bunker, and he died in the blast. "Other options would have exposed our officers to great danger," Brown said. The Dallas PD's actions appear to mark the first time in US history authorities have used a robot or drone armed with a bomb to kill a civilian. This comes at a time when police forces across the nation are being criticized and scrutinized for using military-style tools. After a police officer shot and killed Michael Brown, an 18-year-old black man, in Ferguson, Missouri, last year, riots broke out in the area and police responded with weapons, vehicles and gear intended for armed combat. 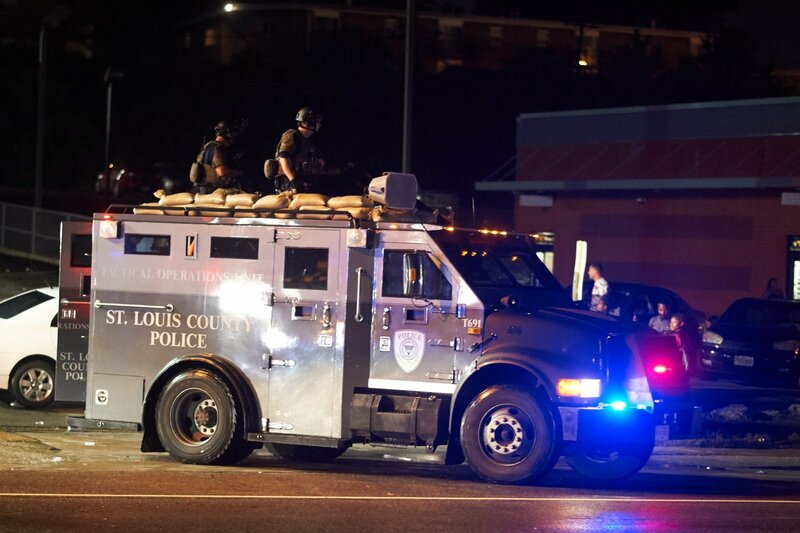 Images of Ferguson police in military-style body armor holding assault rifles sparked a debate about the militarization of police forces across the United States. Armed robots are the latest tool to transition from the battlefield to civilian life. Troops in Iraq have deployed robots and strategies similar to what was used in Dallas, according to futurist and defense-technology expert Dr. Peter Singer. "It's a first, but the tech was already widely proliferated," Singer told Engadget. "US military already had some 12,000 ground robotic systems -- and 80 other countries have robotics as well -- while police around the world have robots used in various bomb disposal and SWAT surveillance roles." Unmanned weaponized robots are more common than ever. Even prison smuggling groups and terrorist organizations like ISIS use drones, Singer noted. "The same is true for civilians," he said. Despite the easy access to drones, these are early days in the public conversation about robots -- especially weaponized ones. It's unclear exactly which type of robot Dallas officers used to kill the suspect on Thursday, though the department acquired new robots in May. And there are a few known bomb-disposal and surveillance models in law enforcement's hands. TALON makes bomb-disposal and reconnaissance robots for law enforcement, specifically the TALON SWAT/MP. Many departments across the nation also use the MARCbot, a small, remote-controlled truck commonly used in Iraq. MARCbots, in particular, have been turned into mobile bombs in combat situations. Note that these are remote-controlled vehicles, rather than AI-driven machines. We've reached out to Dallas PD for more information about the robot it used, but have received no response. We'll update this story if we hear back. Surveillance robots like the MARCbot are not intended or designed to be used as bomb-delivery vehicles, either in a warzone or a civilian situation, Singer says. Police Chief Brown said the suspect in Dallas was uncooperative and firing at his squad, which would justify the officers' use of lethal force, University of South Carolina assistant professor of law Seth Stoughton told The Atlantic. From a legal perspective, it may not matter how authorities killed the suspect. "Once lethal force is justified and appropriate, the method of delivery -- I doubt it's legally relevant," Stoughton said. However, the conversation about law enforcement's use of weaponized robots is just beginning. 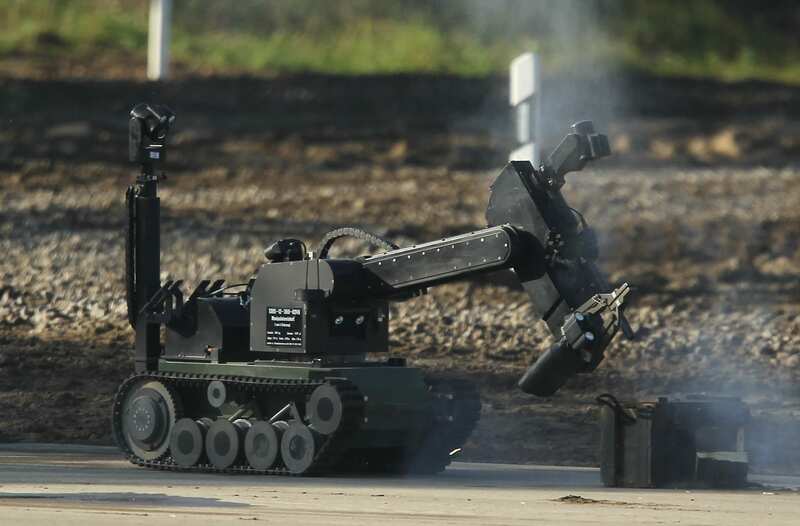 US authorities have suddenly entered a new frontier of lethal robotics. This drastic strategy shift immediately caught the attention of Alex Howard, senior analyst at the Sunlight Foundation, a nonpartisan and nonprofit group that advocates for transparent governments via technological tools. Just as Stoughton said, there is a clear framework dictating when, why and how police officers can take lethal action. The use of lethal force isn't new; it's been debated, tweaked and scrutinized into its current shape. "The difference here is the delivery mechanism of lethal force," Howard said. "That's what we're talking about here. The fact that the delivery mechanism reduces the risk of someone else becoming hurt through the mistargeting of the explosive -- the difference is that the officers in question have reduced risk of them being hurt." "Will they then turn to it sooner? Would they use it differently?" Bomb-delivery robots are a compelling new tool that could have dramatic implications in the way police officers conduct negotiations and enact lethal force, Howard said. "That's the key here. It's another tool," he continued. "It does present us with some other ethical considerations because of the reduction in risk to the officers in question. Will they then turn to it sooner? Would they use it differently? If we establish that that's, in fact, true, then what are the rules for engagement and use? And again, that goes back to: Are we having an informed debate?" It shouldn't be a matter of law enforcement buying a drone or surveillance robot and then adding a lethal capacity to that device without question, Howard said. He wants to see legislatures and attorneys general take notice of these new tools, these new lethal capabilities, and open them up to public debate. "We can and should be extremely rigorous in our thinking about the state using lethal force on someone who has not been apprehended and arrested and read their rights and defended in court by counsel, and then had a judgment by their peers," Howard said. "That is what we expect. We expect to see due process before someone is deprived life and liberty." Last night, the Dallas PD thrust the United States into a new era in the debate surrounding the use of lethal force. The conversation about law enforcement and weaponized robots is just beginning. "Everyone from journalists to farmers to kids now fly drones," Singer said. "What was sci-fi a generation ago is the new normal."